IITs: Potpourri of Talents that Lead to Various Careers! Over-a-crore placements, especially the Facebook pre-placement offer of more than Rs 2 crore, have been quite in news this year. Multi-national companies from all over the world are vying to get their share of Indian talent. Naturally, for most people, IITs are passports to success. However, a ‘career’ is not only about money. It is about doing what you really want to do, have job satisfaction and leading a life that you have striven for. Despite all the media hype about engineers drifting off to other fields, many IITians do opt for science, engineering and technology-oriented jobs. With a strong core engineering background, these students are often absorbed by industries in their field of expertise. Aerospace: Aerospace Industry also hires aerospace or automobile or mechanical engineers for various job responsibilities, especially designing and operations of aircrafts. Automotive: Mechanical Engineering graduates often get absorbed in Automotive careers in companies like Ford, TVS, Maruti and Tata Motors. They design tools and parts of cars and other vehicles and work to improve existing designs used by the automobile manufacturing companies. Chemical: Chemical Engineering graduates often work in manufacturing plants or in operations at Chemical or Pharmaceutical companies like Ranbaxy, Dr. Reddy’s Laboratories Ltd., GlaxoSmithkline and Abbott India. Civil: Civil engineering graduates can get employed in various sectors looking for specialist engineers. Structural engineering, transportation engineering, environmental engineering, maritime engineering and geotechnical engineering – all are covered in the blanket cover of civil engineering jobs. Computer Science: Computer science graduates get highest starting salaries and signing bonuses. All the IT & software jobs go to computer engineers or software engineers. Engineering Physics: Graduates of Engineering Physics have a broad spectrum of skills. They are well-versed with Mathematics, Physics, Materials Science, Computer Systems, Electronics and Optics. Some of the career paths open for them are Telecommunications, Laser Applications are Nuclear Engineering. Electrical: Electrical engineers design, develop and maintain electrical control systems and its components. Electrical engineering graduates find jobs across various sectors such as power production and distribution, manufacturing and construction, transportation and transport networking, and for lighting, heating and ventilation while building industries. Energy Science: Manufacturing companies, government organisations, fuel production industries (such as oil, gas and nuclear companies) and industrial employers need energy science engineers to find efficient, clean and innovative ways for energy supply. They design and test machinery, improve existing process and research to find alternative sources of energy such wind, solar, tidal and geothermal power. Energy agencies, charitable organisations, and motor industry also employ these graduates. Mechanical: Mechanical engineers develop products and processes ranging from small components to extremely large machinery, vehicles and plants. 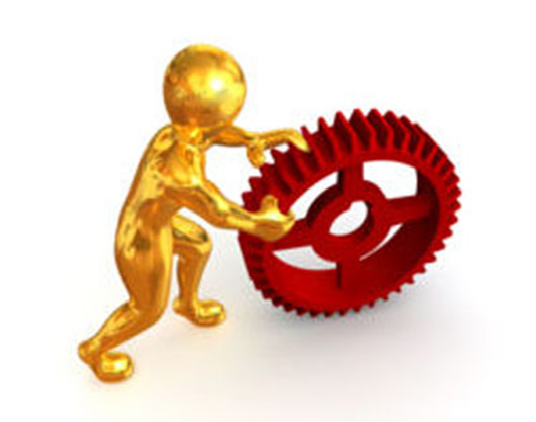 Most industries require mechanical systems and hence, mechanical engineers have several opportunities open to them. Aerospace and automotive industries, Defence engineering, energy industries, medical engineering, oil and gas industries, process industries public sector, transport, and research establishments – all employ Mechanical engineering graduates. Metallurgy: Metallurgists are often employed by government agencies, public sector undertakings, research organisation and educational institutes in India. Indian Railways, Hindustan Aeronautics Limited (HAL), ISRO, DRDO and BSNL are some of the potential recruiters for Metallurgy pass-outs. Read about other Career Options after IITs.